King of animated comedy Seth MacFarlane announced back in May that he would be turning his hand to a new live-action TV series for Fox. 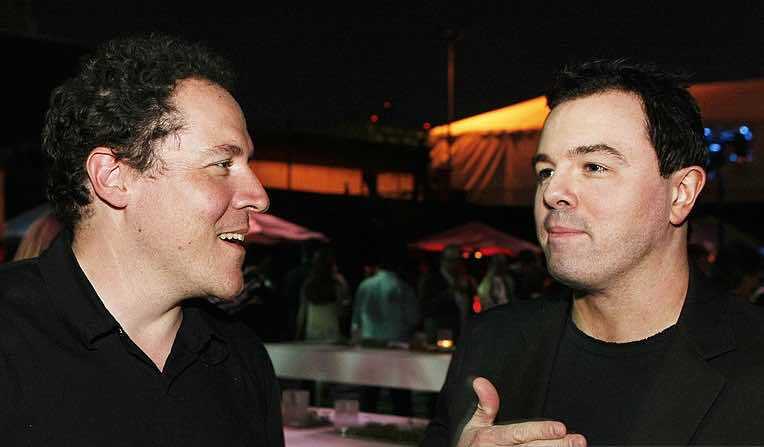 Today we learn that Jon Favreau (Iron Man 1 & 2,The Jungle Book) is on board to direct the pilot of the as-yet-untitled sci-fi show, and will be staying on as a consultant and executive producer for the duration of the series. We know so far that the programme with follow “a not-so-top-of-the-line exploratory ship in Earth’s interstellar Fleet”, otherwise known as the Orville, and that the events will be set 300 years in the future. Not one to hide his ego under a bushel, MacFarlane has written all the scripts, and will executive produce the series as well as starring in it. “I’ve wanted to do something like this show ever since I was a kid, and the timing finally feels right”, MacFarlane said in a statement. News of Favreau’s involvement comes after last week’s casting announcement confirming that Agents Of S.H.I.E.L.D.‘s Adrianne Palicki will play a character named First Officer Kelly Grayson, who is reportedly the ex-wife of MacFarlane’s captain character. Scott Grimes (American Dad!) has also been added to the cast to play a pilot named Gordon. Further details are scarce at present, however we’re hoping American Dad! voice actor and Star Trek: The Next Generation legend Patrick Stewart might be on board the Orville at some point.